We asked Asian art specialists at Sotheby's, Christie's, and iGavel Auctions for their advice on how to approach auction sales as a budding collector. "First and foremost, buy what you love," says Leiko Coyle, VP and Senior Specialist in Indian and Southeast Asian Art at Christie's. "Art is about emotion and passion. You should have a visceral reaction to what you collect." 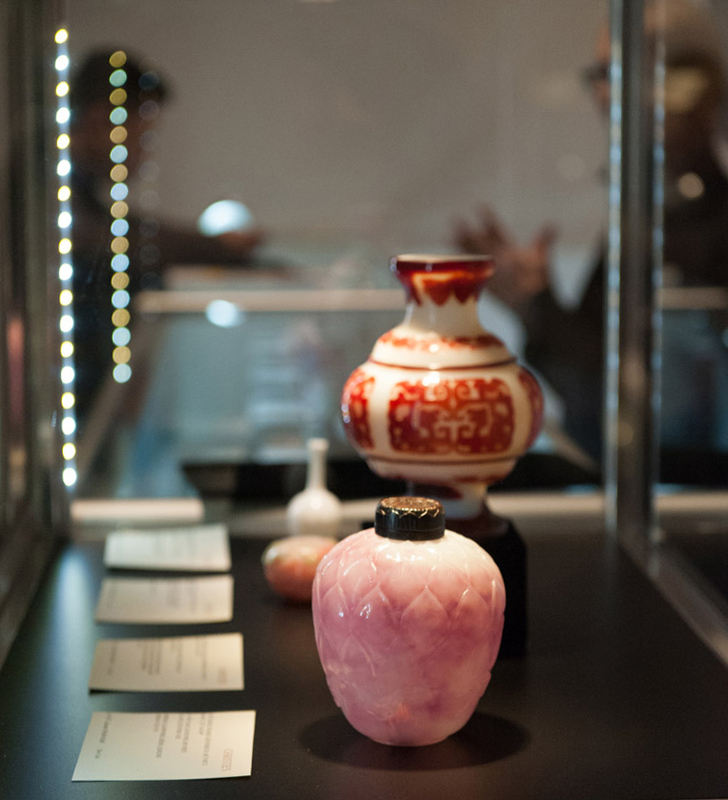 Christina Prescott-Walker, Senior VP and Division Director of Asian Art at Sotheby's, echoes the sentiment: "Buy what appeals to you, what you will be interested in researching, and what you would like to see around you in your home." "Second, do your homework. The best way to learn is to look," continues Coyle. Lark Mason, founder of iGavel Auctions, recognizes that "auctions can be intimidating," but "one of the best strategies is immersion. Fortunately, auction houses are welcoming and there are ample opportunities for a novice bidder to attend an exhibition, purchase a catalog, and pick out a dozen or so objects that are interesting to follow in an auction sale." "Don’t be afraid to come to an auction house view and handle the objects; handling pieces is the best way to learn," adds Prescott-Walker. "The specialists are also happy to view with you and answer questions." You should also "go to museums to train your eye," suggests Coyle, but remember, at an auction house "you not only get to look, but have the option of handling the work." "Make notes on the condition of the objects you choose and go home, do some sleuthing in the ‘sold lot archives’ and find similar examples that have previously sold at auction, and come up with an amount you would bid if you were really bidding. Once you do your homework, contact the auction house and request a ‘condition report’ for a small number out of your larger selection, and then attend the auction. See who bids and follow the results. You’ll learn a lot and not risk any money, and prepare yourself for the real thing next time." Prescott-Walker also emphasizes how crucial condition reports are. "Ask for condition reports or print them out online, and view the objects with the condition report in hand. Without knowing the condition of a piece, the final auction result has little meaning." All recommend closely following auction results in order to understand the market. You can also "visit galleries and inquire about pricing," Coyle reminds us. Once you're ready to bid, do so "in person, by phone or online if you can, rather than leaving a written bid. It will help you get a feel for prices."